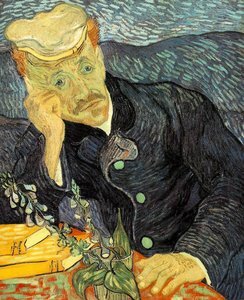 One of the most revered paintings of Van Gogh, this depicts Dr Gachet, who took care of the painter during this last days. Painted with oil on canvas, it exhibits a lovely blend of sombre colours. "Amazing to have this world famous painting in my living room now. 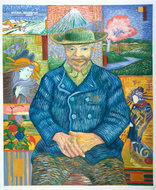 When I look at it, I think of Van Gogh who inspires me every day. - Jelle"
Recreated by our skilled artists, this portrait is no less striking than the original version. 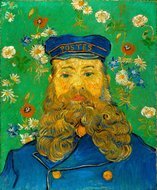 With the aim of preserving the rich culture of the Dutch, our artists create the most authentic reproduction of Van Gogh’s work, which looks and feels the same. With our skilled painters having mastered Van Gogh’s way of painting, each of our creations is hand-painted, and portrays the same mix of colours and ambience as its inspiration. One of his most famous works, there are two versions of this painting. It shows Doctor Gachet sitting with his hands on a table with his head leaning on his right arm. 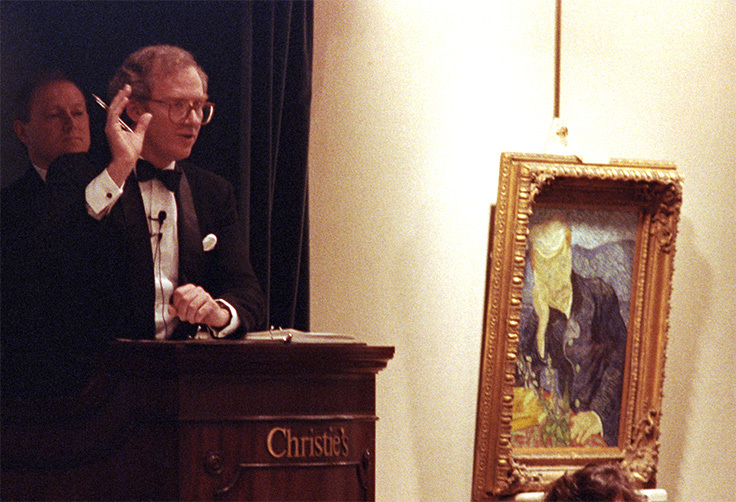 Both the paintings are essentially the same, but for style and colour. Both were painted in June 1890—just a month before the master painter’s death. 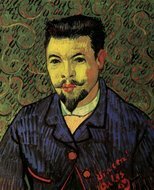 After securing his release from the asylum at Saint-Remy, Vincent was sent to Doctor Gachet’s home in Auvers by his brother Theo, who looked after him financially. 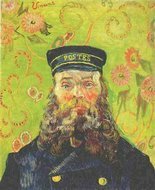 Gachet, although a doctor by profession, had an avid interest in art, and was an amateur artist himself. 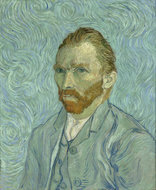 Van Gogh is known to have said that he had found a true friend and brother in Doctor Gachet, and that they resembled each other mentally and physically. Doctor Gachet has a melancholy gaze in this portrait, often described by experts as ‘the sad expression of our time’. His sad and rather droopy eyes appear to be searching for something far away, something he’s unsure of. The table is red in colour, and has two yellow books—Germinie Lacerteux and Manette Salomon, written by two brothers—the presence of the books representing the close relationship he shared with Doctor Gachet. There’s also the plant foxglove on the table, the plant used to derive the medicine digitalis—reflecting the muse’s profession, or perhaps indicating that the doctor used this drug to treat him. This happens to be one of his most expensive work. It was sold at a whopping price of $82.5 million in the year 1990, to Japan’s second-largest paper manufacturer, Ryoei Saito. Amazing to have this world famous painting in my living room now. When I look at it, I think of Van Gogh who inspires me every day.